I bet you can stop gambling. Resolved Hypnotherapy Reading. Hypnotherapy has helped dozens of people in Reading to stop gambling. You could be the next one. You’ll need to be resolved to do so. Half-measures such as cutting it down simply won’t do. If you simply stop then perhaps you’ll never have to explain why you gambled it all away. The shame, regret and financial consequences of such an admission will never have to be felt. I’ve used hypnotherapy in Reading, Oxford, Thame, London and Wallingford to help people end this destructive addition. If you truly wish to stop gambling then you really could stop. Hypnotherapy could help you. This week I saw a man for his second session. Why? Well, he simply couldn’t stop gambling, you see. That is, at least, until he did. He is free of the habit, you can be free of the habit. Life could be better and hypnotherapy could help you. Get in touch to find out more. 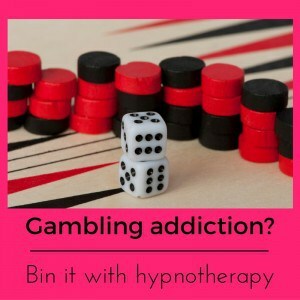 Hypnotherapy has helped others stop gambling. You can do it too! Gambling is like any other habit. People try to give it up when they don’t really want to. So, they fail. They try and try again but the inner conflict which this conflict of motivation brings will always drive them back to it. This cycle drives them deeper into debt and so they continue betting in an attempt to win back their losses. The debts mount up, depression and anxiety sets in and gambling is the only high they know with which to feel better – even if the high lasts for just a few seconds and is followed by a terrible hangover of regret. Over time, therefore, they condition themselves to expect to fail and when they finally want to stop, when they really, really, really want to stop, they are convinced that they can’t. When people wish to stop a habit then they can. I’ll help you to believe in yourself again. I’ll help you to put a stop to the habit and to rebuild your self-esteem. I’m sorry that you have to be reading this. It’s not easy to admit that you have a real problem. It’s not a simple thing to concede that all those efforts to win it back, to make it good have come to nothing. It’s not a simple thing to do but it certainly is the brave thing to do. In fact, you know fine well that it’s the only thing to do. The alternative is too grim to contemplate. The good news is that you have the strength and the resources necessary to succeed in giving up gambling. We’ll work on motivation and will power. You have what it takes! My last gambling client certainly did. I taught him to believe in himself and so he just….stopped. You’re no different to him, no better or worse. You could use hypnotherapy for gambling in Reading, London, Oxford, Wallingford or Thame in order to get your life back, under control. I’ve helped a dozen people quit gambling in the last year alone. These people gambled on fruit machines, sports events, card games and even on the stock exchange. Every method ends up in the same way – with a rich bookie and a financially devastated gambler. Some of my clients have stopped in time to save themselves from financial ruin. Others are rebuilding their lives after complete disaster. Don’t leave it too late. if you want to stop, contact me and we’ll discuss how hypnotherapy could help you. Call on 07786 123736 or email me at paul@resolvedhypnotherapy.co.uk. I’ll be more than glad to hear from you. It’s never too late. Don’t wait any longer, pick up the ‘phone and give me a call. Yes, private therapy costs money and you’ve spent enough already. However, spending a couple of hundred pounds in order to be rid of a habit which had cost one of my clients over a million pounds would be a good investment. There is such a thing as money well spent. It needn’t end in disaster. It’s never too late. 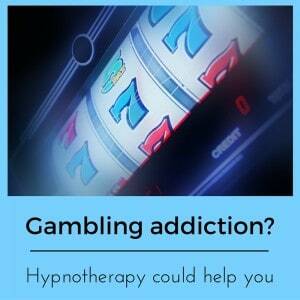 Hypnotherapy for gambling could help you. Hypnotherapy is a marvellous method of getting rid of bad habits, of realising your strength, of using all of your resources, skills and qualities in order to achieve the goals you ‘d like to achieve. We could work on the urge to gamble, the misery created by shame, regret and self-recrimination whilst helping you to find other, less damaging, means of feeling good. Gambling was once a buzz. It’s now a costly addiction. Hypnotherapy could help you end the nightmare, once and for all. Kicking a destructive habit and building better ways of dealing with your emotions will transform your life. I’d like to help you to achieve your goals. Therefore, if you truly want to stop and are ready to begin, I’m ready to help you. If you’d like to simply stop gambling, make a start by giving me a call. You can call on 07786 123736 / 01183 280284 / 01865 600970, email me at paul@resolvedhypnotherapy.co.uk or use the contact form below.